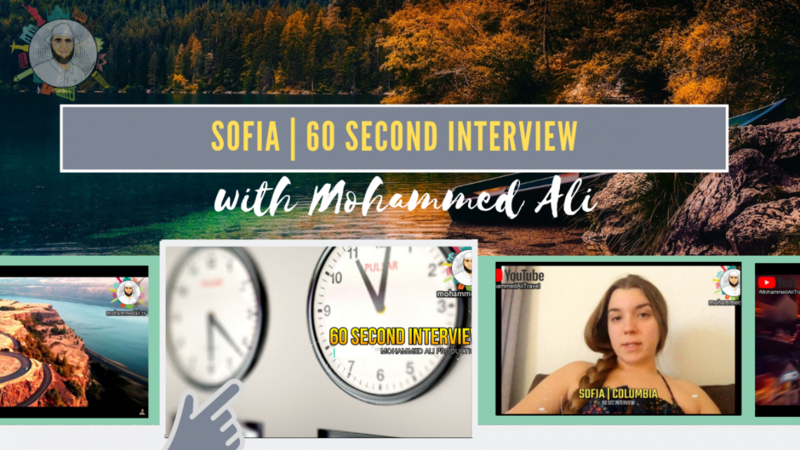 Meet Sofia | 60 second interview - Mohammed Ali, a passionate globetrotter and food lover, inspires people about his exciting journeys and life experiences on YouTube. Follow him and hear more. 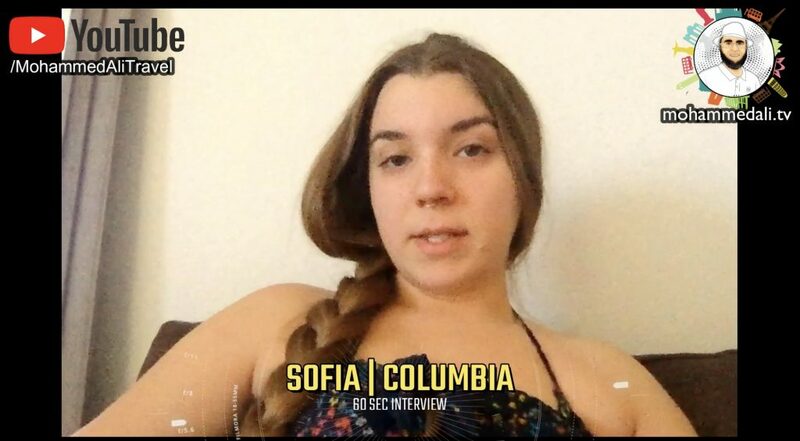 Get to know Sofia from Columbia. She joins with me in her first 60 second interview. Find out how she answered the questions in only 60 seconds. Can you do better? Here is why #60secMatters to find more about people’s lifestyle, personalities and secrets. (release date: 29 April 2019 at 10 AM GMT) – More travel videos here. Surprise questions like ‘What song is in your head right now?’, ‘Tell us a secret! ‘, ‘Who was the last person you text and what did it say?’ turns the 60 second interview into a real funny show to watch. Can you too beat the questions? Then send me an email to contact(at)mohammedali.tv to join me in my next show.